"It was a beautiful day, lots of fun & a great time, (even though I didn't get to golf)! You gals did a great job putting it all together! Loved getting to see you.." - Jen V.
"Most amazing golf outing I've participated in and I've attended many. Pure perfection filled with love!" - Mary S.
"I got mine in the mail today - the pictures don't do them justice. Thanks so much!! They are abolutely stunning!! 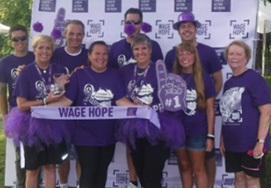 It's never too early to think about Christmas Gifts.."
There are several ways to help Connie's Crusaders Inc. raise money for The Pancreatic Cancer Action Network. You can be a participant in our annual Connie's Crusaders Golf Outing in Cincinnati, OH, attend our annual Wine Tasting in Louisville, Ky or become part of our Purplestirde team and walk with us every August in Louisville Ky. All of these events raise money for our cause and help us get closer to a solution and cure for pancreatic cancer. 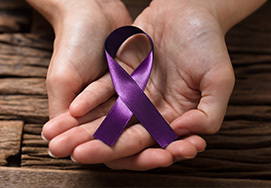 Connie's Crusaders donates all proceeds to the pancreatic cancer action network, so donations are greatly appreciated. All donations are tax deductible. Volunteers are needed for our golf outing June 2nd, 2018. Please go to the events page to sign up if you are able to help us. © 2018 - 2019 Connie's Crusaders Inc. - All Rights Reserved.